Viewsonic Viewpad 7e upcoming Android 2.3 Gingerbread powered Android tablet in Indian market. 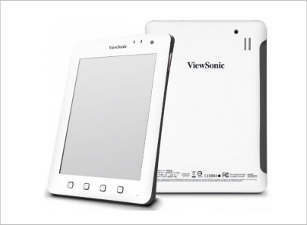 Viewsonic Viewpad 7e powered is provided by a 1 GHz ARM Cortex A8 processor with 512 MB DDR3 SDRAM. Viewsonic Viewpad 7e will have 7 inch touchscreen display, 3 mega pixels camera, 0.3 mega pixels front camera for live chat or video calls, 4 GB internal memory which can expanded up to 32GB. Viewsonic Viewpad 7e will also support Wi-Fi, Bluetooth connectivity, Abode Flash 10.3, and USB port. Viewsonic Viewpad 7e price should be around Rs. 10,000/- . Now we see here Viewsonic Viewpad 7e important feature and specification. Lenovo ThinkPad Price in India with Full Spec.